A Deluxe Pirate Buccaneer Beauty Costume including a Dress, Sash, Bandana, and Necklace – Ideal for any Pirate theme, or any fancy dress occasion! 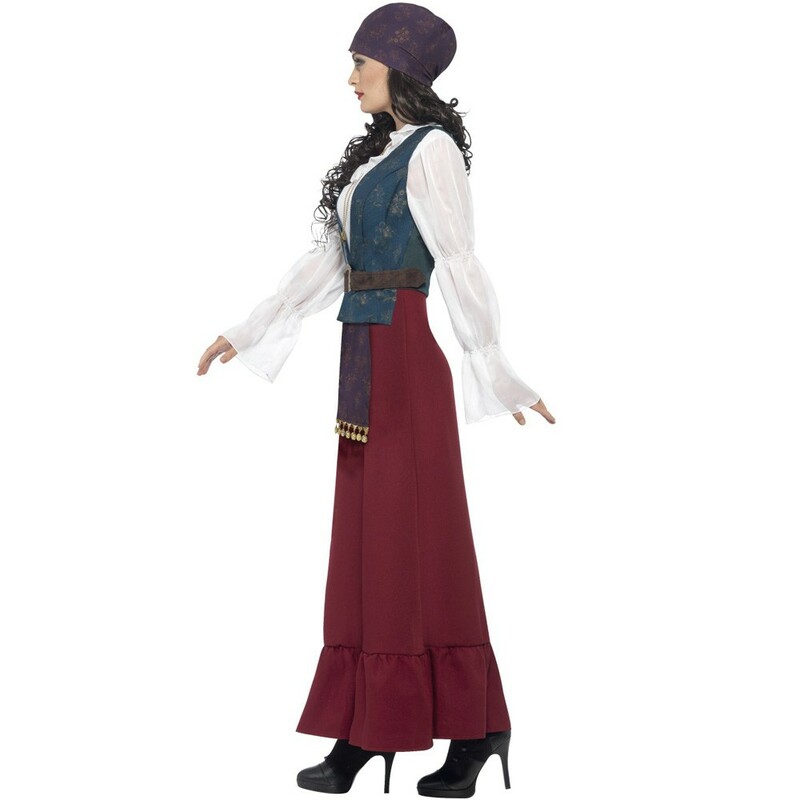 Show that Pirates have style with this gorgeous Deluxe Pirate Buccaneer Beauty Costume. This costume comes complete including a Dress, Sash, Bandana, and Necklace. 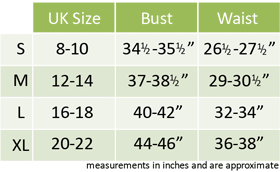 The Dress features Full length Burgundy Skirt, with a White Bodice that features full length sleeves with a gathered design, and a ruffled neckline. The bodice also features an attached ornate teal coloured Waistcoat, with an intricate floral pattern, and an attached Brown belt with gold buckle. 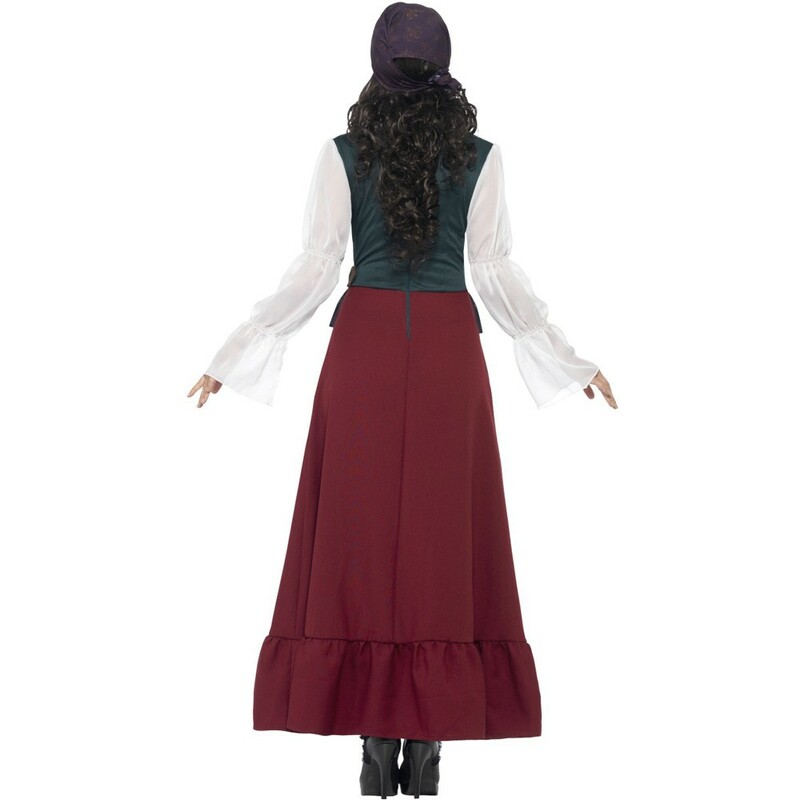 This lovely Deluxe Pirate Buccaneer Beauty Costume also includes a deep purple sash that features an intricate floral pattern and gold coin details. Add the final touch to this Deluxe Pirate Buccaneer Beauty Costume with a Bandana to match the Sash, and a gold Necklace. 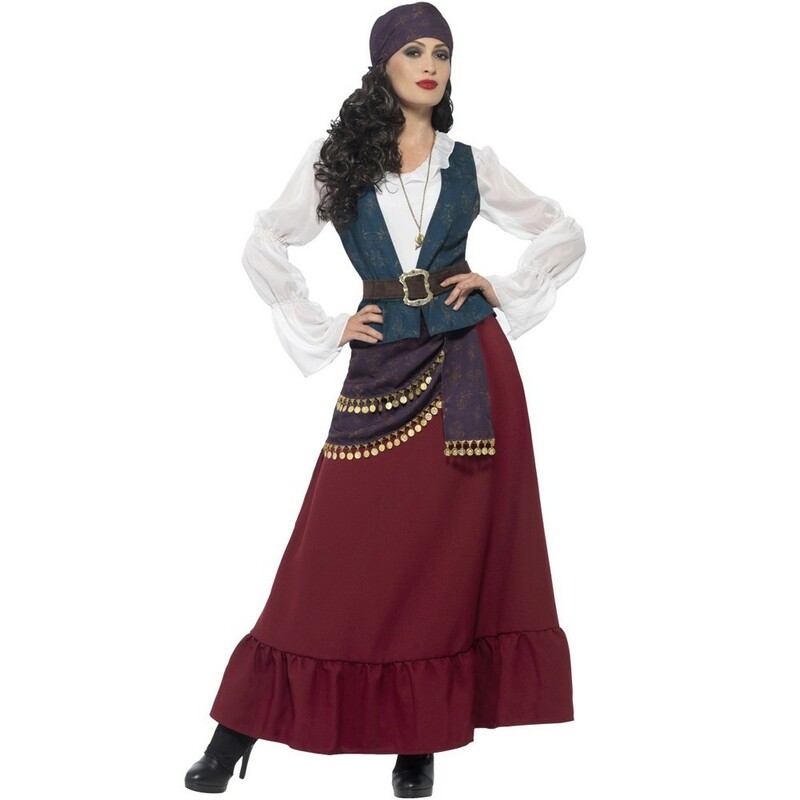 You will be sure to impress in this luxurious Deluxe Pirate Buccaneer Beauty Costume, no matter what the occasion. A Deluxe Pirate Buccaneer Beauty Costume.